Developer Edition contains the development environment and a single port runtime. The developer edition is used to develop and demo an IVR solution using Xtend IVR. 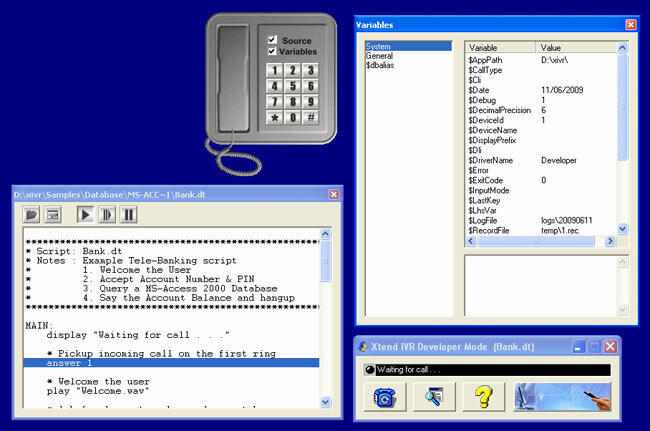 The runtime is full-fledged, works on one telephone line and has extensive support for multiple telephony voice cards. Xtend IVR has extensive support for different telephony voice cards. 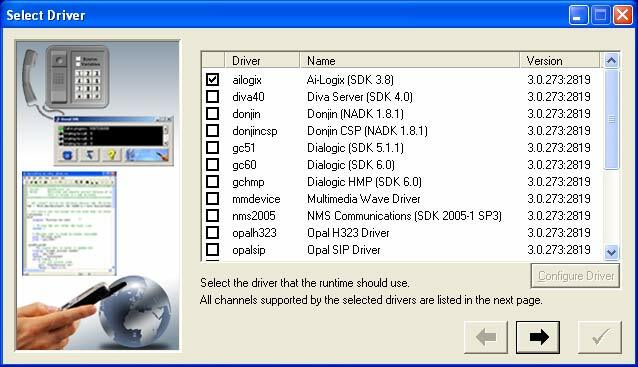 The supported voice cards are PIKA, Ocha, Synway, Donjin, SIP, NMS, Diva Server, Ai-Logix, H.323, Dialogic, TAPI, Sangoma etc. Select the driver that the runtime should use from here. 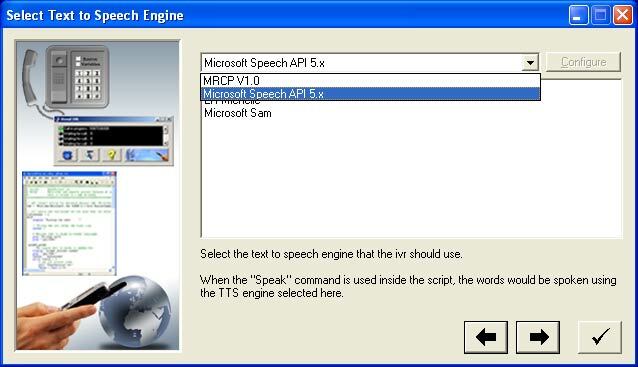 Text-to-Speech (TTS) engine converts the written text within the Speak command in the script to speech, and Automatic Speech Recognition (ASR) converts spoken words to machine-readable input. Xtend IVR supports SAPI 5.x for TTS and MRCP 1.0 for ASR engines. 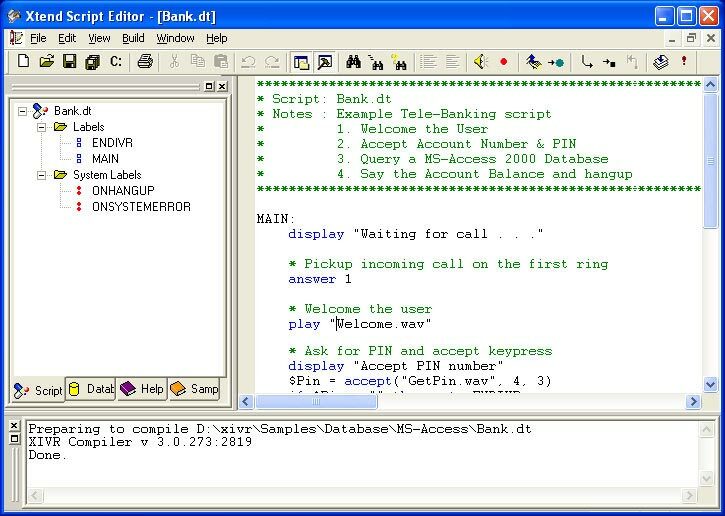 The Xtend IVR Script Editor is designed and developed exclusively for managing IVR Scripts. With IVR Editor, you can create and edit the IVR scripts with ease. Help is available for using Xtend IVR scripting language in the editor. Xtend IVR allows the user to customise the look and feel of the IVR interface. The user interface of Xtend IVR Standard Edition can be completely customised. This includes the Icon, About Box, Window Caption, User Button and Logo Bitmap. Disclaimer: All other trademarks are the property of their respective owners. Kerala, India. Pin - 682 016. © Xtend Technologies (P) Ltd. All Rights Reserved.